The same year, the first stone of the Garnier Opera House was laid, and the area surrounding the Madeleine was rapidly developing into one of the capital’s most important and elegant business districts. The most prestigious names in French luxury had already taken up residence in this neighborhood. In 1871, while Baron Haussmann was giving Paris a “new face”, a fire at the bakery opened up the possibility of transforming it into a pastry shop. The decoration of the shop was entrusted to Jules Cheret, a famous turn-of-the-century painter and poster artist. Mr. Cheret sought inspiration from the painting techniques used for the ceiling of the Sistine Chapel and the Garnier Opera House. By integrating them into his work, he added depth and relief to the ceilings decorated with chubby cherubs, notably the “Pastry Angel” who later inspired the House’s graphic identity. 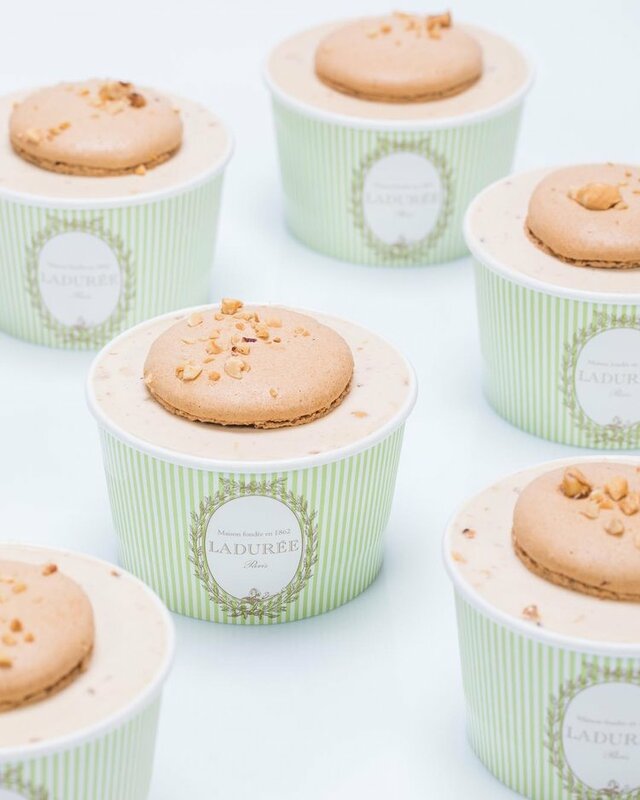 Ladurée has a wide range of unique seasonal and classic macaron flavors. Always gluten free and always delicious. The Ladurée vault contains over 100 secret recipes with various flavor combinations tested to perfection. The Ladurée macaron is often called "the supermodel of the food industry"... chic, timeless, and beautiful. Openings in other prestigious locations came to follow: in 2002, the rue Bonaparte won over the Rive Gauche, in the old gallery of one of the post-war era’s “great ladies” of interior design, Madeleine Castaing. In 2005, a store in London’s Harrods marked the start of an international adventure. 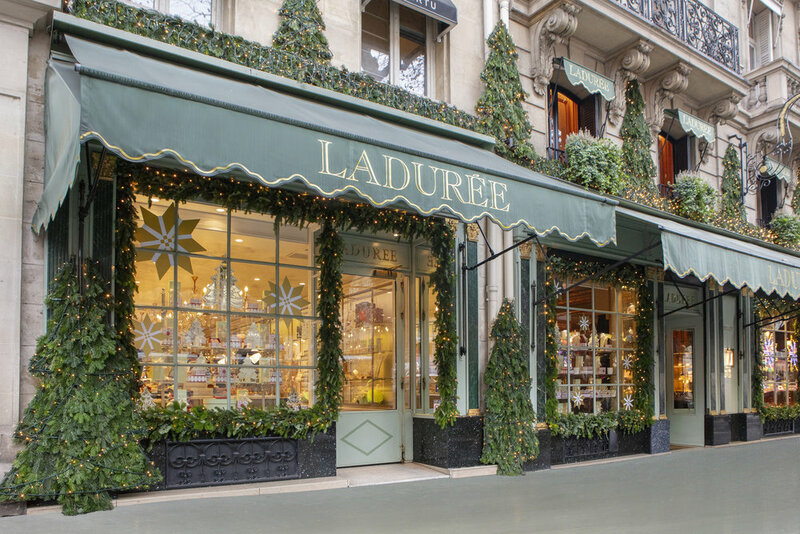 David Holder’s knack for finding the spots best suited to the spirit of Ladurée, along with an inestimable flair for launching new ventures, has led to the inauguration of over one hundred sales points across the world. The first stateside boutique and tea salon opened in 2011 on New York’s Madison Avenue, followed by the US’s first full restaurant and garden in New York’s trendy Soho neighborhood. 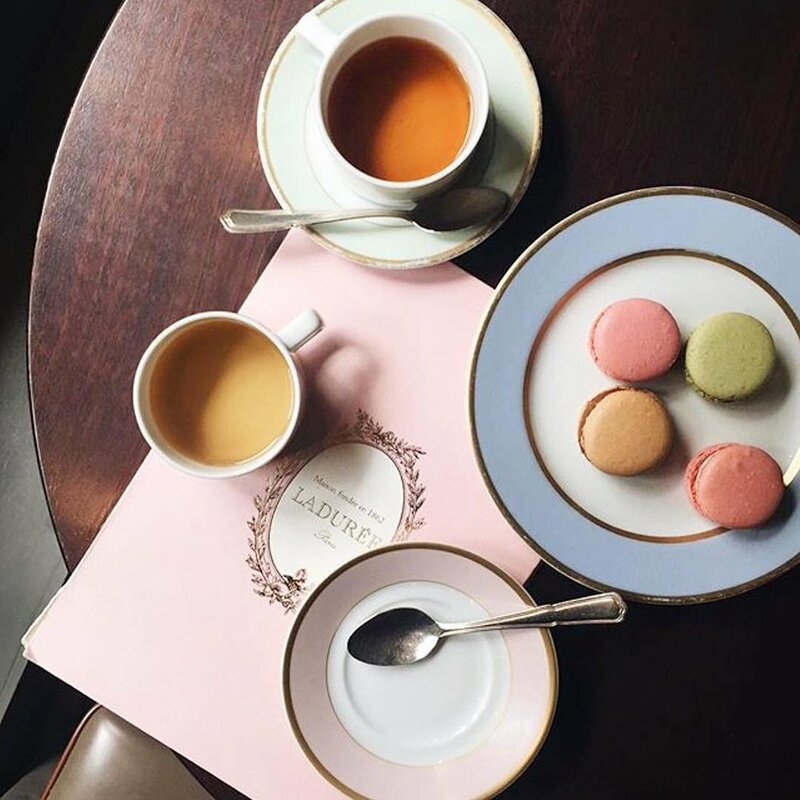 Ladurée now has 8 locations across the United States, in Los Angeles, Washington D.C., Miami, New York, and over 100 stores worldwide.